Emirates will increase the frequency of flights between Dubai and Cairo, adding four additional flights a week to its existing thrice-daily service, starting 28 October, 2019. The four new flights operating on Monday, Wednesday, Thursday and Saturday, will take the total number of weekly Emirates flights serving Cairo to 25. The additional Dubai–Cairo flight EK 921 will leave Dubai at 12:00 hrs and will arrive in Cairo at 14:15 hrs. The return flight, EK922, will depart Cairo at 16:15 hrs and will arrive in Dubai at 21:35 hrs. The new flights will enhance connectivity to most cities in the Asia, the Americas and Australia including Beijing, Bangkok, Hong Kong, Sydney, Shanghai, New Delhi, Mumbai, New York and Washington DC. 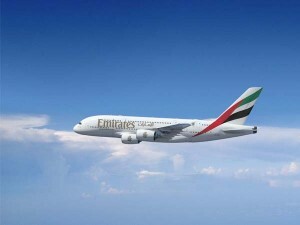 “Cairo is a very popular destination for both business and leisure travellers, and the additional flights will provide our customers with greater flexibility in their travel choices, and allow seamless connectivity to Emirates’ vast global network,” said Orhan Abbas, Senior Vice President, Commercial Operations Africa, Emirates. Similar to the current service, the new flights will be operated by a Boeing 777-300ER in a three-class configuration featuring 8 private suites, 42 Business Class and 304 Economy Class seats; adding 1,416 seats each way per week on the route. The flight increase will bring about an additional 160 tonnes of cargo capacity per week to and from Cairo on top of the more than 800 tonnes of cargo capacity already provided on Emirates’ flights. Premium customers, and Platinum and Gold Skywards members can additionally enjoy the dedicated Emirates lounge in Cairo airport which opened in 2018. Emirates is set to add a second daily flight between Dubai and Prague from July 1, 2018, after steadily growing passenger numbers on the route since its launch of operations in July 2010. The flight will be operated by a Boeing 777-300ER with a capacity of 360 seats, boosting inbound tourism through the additional 262,800 seats it will provide. The year-round flight will have a three class configuration offering eight Private Suites in First Class, 42 lie-flat seats in Business and 310 spacious seats in Economy. Emirates‘ flight EK137 will leave Dubai at 15:30 and arrive in Prague at 19:55. The return flight EK138 will depart Prague at 21:35 and arrive in Dubai at 05:30 on the following day, giving travellers a full day in Dubai. The second daily flight will improve Prague’s connectivity to and from a range of destinations in the Emirates network including Far East places like Ho Chi Minh City in Vietnam, Phuket in Thailand, Yangon in Myanmar, Guangzhou in China and Phnom Penh in Cambodia. African destinations of Durban, Dar-Es-Salaam, Harare, Lusaka, Entebbe and Nairobi as well as Auckland and Christchurch in New Zealand and Brisbane in Australia will be easily reached with improved connectivity with a convenient transit in Dubai’s world-class hub. Emirates is set to launch a new non-stop service between Newark Liberty International Airport (EWR) and Dubai from June 1, 2018, adding to its existing daily flight which operates with a stop in Athens, Greece. The new non-stop service will be operated with an Emirates Boeing 777-300ER, offering eight suites in First Class, 42 seats in Business, 306 in Economy Class, and 19 tonnes of belly-hold cargo capacity. Flight EK223 will depart Dubai at 03:00 am and arrive in Newark at 09:00 am. 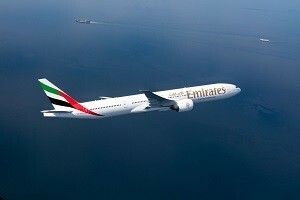 The return flight EK224 departs Newark at 11:50 am, arriving in Dubai at 08: 20am on the following day. This new timing complements the existing Emirates service, as it provides travellers with a new option of a morning arrival in Newark, and a morning departure. 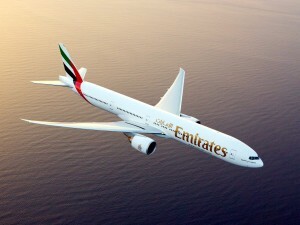 Emirates’ non-stop service to Newark will offer travellers in northern New Jersey enhanced global connectivity, particularly those heading to Africa, the Far East and the Indian sub-continent. This is a boon for ethnic communities such as the nearly 700,000 Indian Americans residing in the greater New York area, who will have one-stop access to nine Indian cities on Emirates’ global network. Emirates’ first Boeing 777-300ER aircraft fitted with its first-class product will operate from Dubai to the airline’s Belgian and Swiss destinations from December 1. The new cabin will feature six private suites laid out in a 1-1-1 layout, compared to the eight private suites in a 1-2-1 layout on its existing 777 fleet. Prior to entering commercial service, the first Emirates aircraft to feature the new private suites will be on display at the Dubai Airshow from November 12-16, following a product reveal on the first day of the show. Operating as one of the two daily flights from Dubai to Geneva, travellers can enjoy the new product on flight EK083 departing Dubai at 14:50hrs, arriving in Geneva at 18:55hrs. The return flight leaves Geneva at 20:40hrs, arriving at Dubai International Airport at 06:05hrs on the following day. For travellers heading to or from Belgium, the new product will be available on flight EK183 which leaves Dubai at 08:20hrs, arriving in Brussels at 12:45hrs. The return flight leaves Brussels at 14:35hrs, arriving at Emirates Terminal Three in Dubai at 00:15hrs on the following day. Emirates will introduce an additional daily flight from Dubai to Brussels from 29 October 2017, providing a double-daily service to customers on the route. The new scheduled flight is to meet the growing demand for travel on the route – Emirates has carried over half a million passengers between Dubai and the Belgian capital since launching operations on 5 September 2014. Further, this second daily flight, offering additional cargo capacity in the belly hold of the wide-body Boeing 777-300ER, will enhance trade links between Brussels and Dubai, transporting pharmaceuticals, perishables such as chocolates, and automotive parts from Belgium to the UAE and beyond. With the launch of the new flight, inbound tourism is also expected to receive a significant boost, creating an anticipated 50,000 more tourist arrivals. 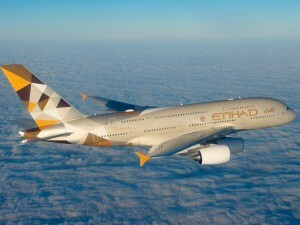 Etihad Airways has introduced its flagship Airbus A380 on its second daily service between Abu Dhabi and New York JFK. All 14 weekly flights between the two cities are now operated by the double-decker aircraft. The superjumbo has replaced a three-class Boeing 777-300ER previously operating one of the airline’s twice-daily flights. The new deployment means New York will join London and Sydney as an all-A380 operation. Etihad Airways launched daily non-stop flights to New York JFK on October 26, 2006 and introduced a second daily service in March 2014. It subsequently upgraded one of the daily flights to an A-380 aircraft in November 2015. Peter Baumgartner, Etihad Airways Chief Executive Officer, said, “The response we have received from our guests travelling between Abu Dhabi and New York since we first launched the A380 service two years ago has been phenomenal. We are delighted to further expand our world-leading product to all guests flying to and from the Big Apple. 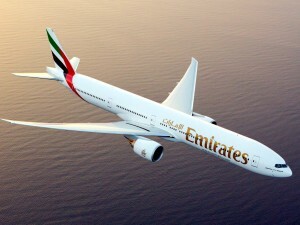 Emirates will commence its scheduled daily flight between Dubai and Zagreb, expanding the airline’s network and further strengthening ties between the UAE and Croatia.Months of planning have paved the way for the launch of Emirates’ new service to Zagreb next week, which sees Croatia become the airline’s 39th destination in Europe. The new route will be an important one for Emirates as it will further strengthen the airline’s European footprint and tap into a new part of the continent – the south eastern part – thanks to Zagreb’s central location at the crossroads of Central Europe, the Mediterranean and the Balkans. 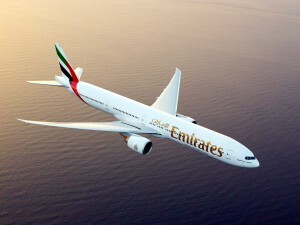 Both business and leisure travellers from around the Emirates network will be able to enjoy the airline’s award-winning product and service on board the three-class Boeing 777-300ER offering a choice of eight Private Suites in First Class, 42 lie-flat seats in Business Class and 310 spacious seats in Economy. The new Zagreb flight is expected to boost the growing tourism demand for Croatia from around the Emirates network, especially the Middle East and Asia Pacific and also offer a convenient option for visiting friends and relatives travelling in from Australia and New Zealand. 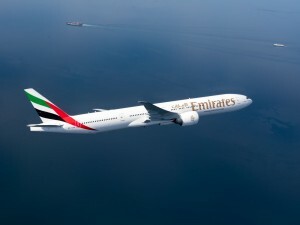 In just the month of June alone, Emirates has received bookings for flights to Zagreb from passengers originating from no fewer than 36 different countries around the world.